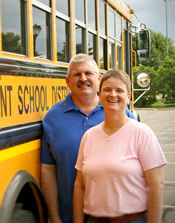 "We are both bus drivers and joined United Educators Credit Union 2 years ago. We love going to the Apple Valley branch, where they greet us by name. It was important to us to find a credit union that served all school employees including teachers, food service staff, paraprofessionals, custodians and bus drivers! We were also looking for a financial institution that didn't have excessive fees and provided friendly, personal service. We found all of this at UECU, and more!" "Our daughters are at the perfect age to learn the concept of 'Save, Share, Spend'. We started savings accounts for them when they were babies. As they got older, we taught them the value of saving for the special things they wanted. We are so excited to add the sharing concept to their financial literacy background. As a family, we plan to identify a local charity that we can 'share' our resources." 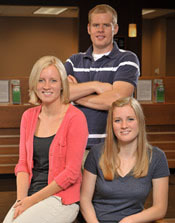 "Being teachers we were looking for a credit union that focused on educators. The first time we walked in the doors we found a friendly, welcoming staff! Our questions no matter how big or small have been answered in a timely manner. They look out for their members and will contact you if they find any discrepancy in the accounts. Through the years we have been very happy with the service at UECU. We wouldn't bank at any other place!" 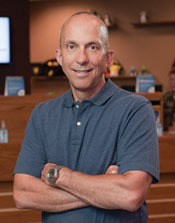 "I am strongly in favor of teaching financial literacy in my classroom. It is important for my students to understand the basic fundamentals of sound money management prior to graduating. The hands on approach that I've utilized provides them with practical, 'real life' experiences, that I believe will benefit them later on. The impact of teaching financial literacy to youth has far reaching consequences beyond the classroom." 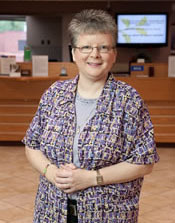 "UECU is our primary financial institution. We were recently married and wanted to combine our accounts at one financial institution. 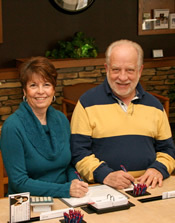 We wanted a financial that was trustworthy and would look out for us. We were referred to UECU by family members who said we would like the personal service and straight forward banking. They were right!" We all agree – banking at a UECU is awesome, (the bomb)! 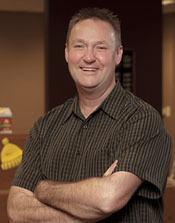 The staff at UECU is friendly and personable. They offer every financial product and service we need so that we can do all of our banking at one place. Best of all, they take the time to answer all of our questions about managing money. They make you feel like a name, not a number." "As a new teacher and a recent graduate, it was important to me to establish myself with a financial institution that would look out for my needs. 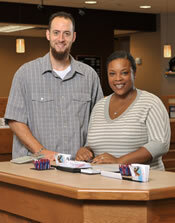 Opening an account was easy and the staff was helpful and very knowledgeable. I highly recommend that other new teachers consider UECU. 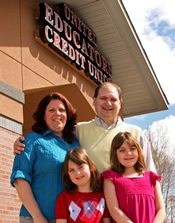 I wanted a financial institution that cared about educators and the name says it all – United Educators Credit Union!" "UECU treats you like family! The staff is always so friendly and great to work with. In addition to great service, I don't get 'nickeled and dimed' by excessive service fees. As treasurer for the Anoka Hennepin Education Minnesota, these are one of the many reasons we do business with United Educators Credit Union." 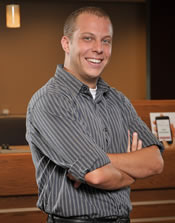 "I wanted to be a member of a credit union that had as its focus educators and public school employees. UECU has not forgotten its roots--it has maintained its integral role in the financial lives of educators and public school employees. It continues to offer financial programs that benefit all public school employees and looks for new innovative ways to serve its members." "My story: my bank wouldn't help me and I was disappointed with regular banking industry in general! So I decided credit union is what I wanted to support and they helped me get my finances in order! I am proud of my credit union and would refer others to this bank! Thank you for being there for me!"